There are a reasonable number of upright stands with wireless charging, although not as many as I would have expected. The real surprise was that none of them seem to work very well. Nearly all of them present the phone at around a 45-degree angle, which is terrible if you are looking straight across at it. Most of them are designed to hold the phone vertical while I wanted it positioned horizontally, like a clock. Of the small number that will do what I want, none provide really secure support for my phone. There is another issue I have discovered with wireless chargers. Very few of them will trickle charge properly. Some simply stop once the phone is fully charged, which allows the phone to run back down and leaves you with a partial charge in the morning. Most of the others go into an on-and-off cycle after the phone is full charged. That leaves the phone with a full charge, but a lot of phones, including mine, put up a special "wireless charging" display every time they connect. Having that flash on over and over in the dark is not restful. My solution to these problems was to combine two off-the-shelf items and do some trivial modifications. 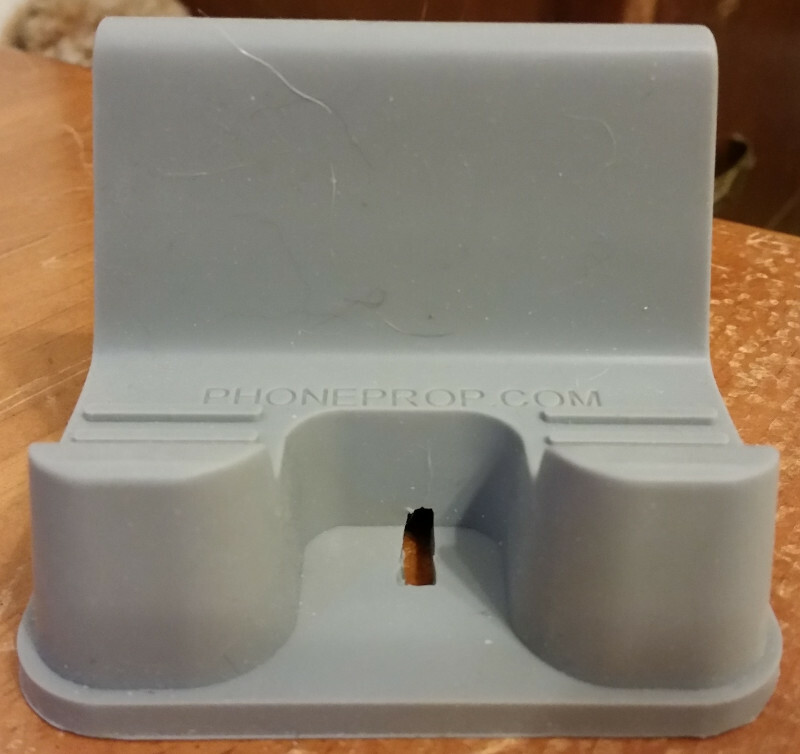 I bought a PhoneProp stand that does a nice job of supporting my phone in the horizontal position. It also has enough room to hold a charger along with the phone. 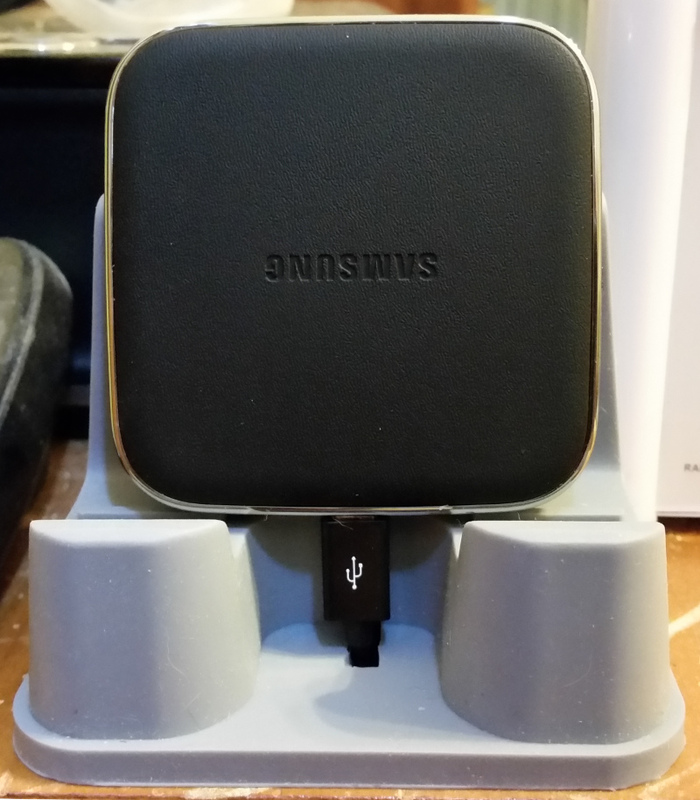 I also bought a Samsung EP-PG900 Mini Wireless Charger. This seems to be one of the very few chargers that can trickle charger properly. It is also small and thin enough to fit behind my phone on the stand. 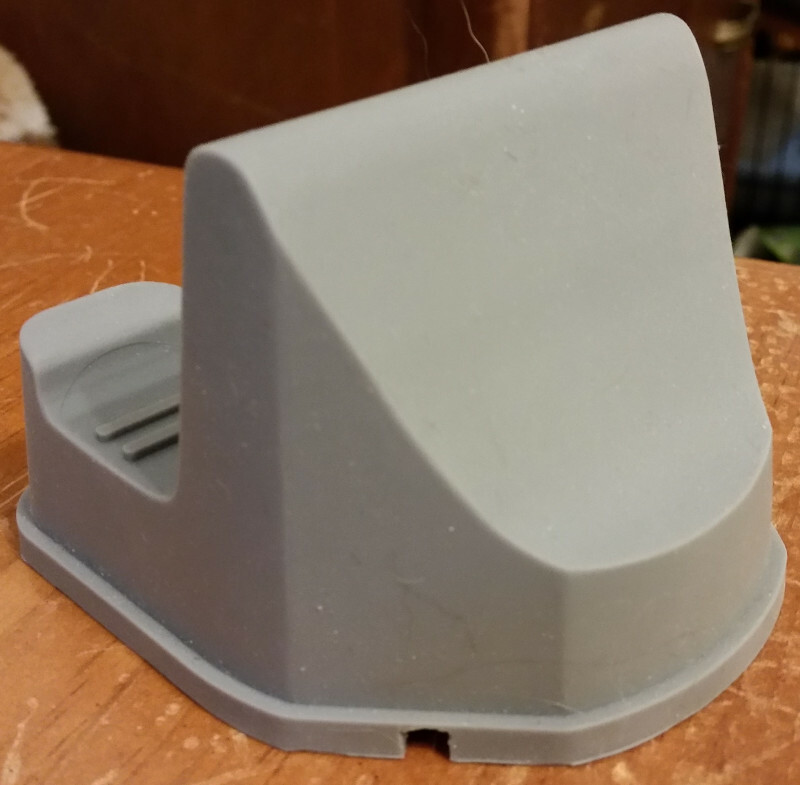 The final step was to simply cut two holes in the phone dock to make room for the charger's cord. 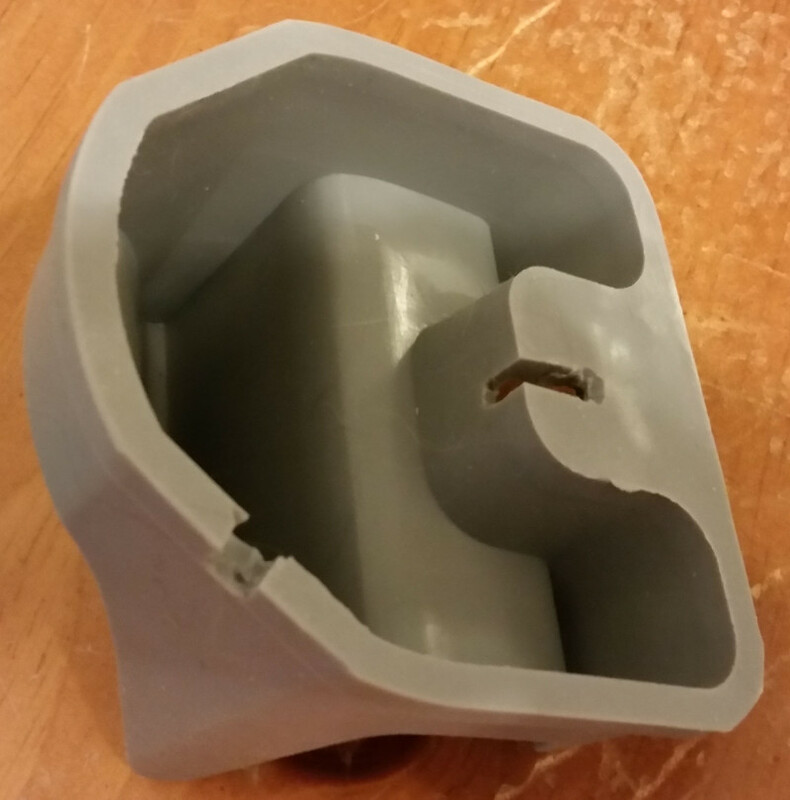 The charger could have just sat on the stand, but this arrangement is more stable and keeps the cord out of the way. If your needs are similar to mine this is a great solution. If they are not, maybe this will inspire you to improvise your own solution instead of putting up with something out-of-the-box that doesn't quite do what you want.